I don't if anyone is interested in this topic (it's only 21 years late) but i was visiting my mum and dad the other day and we got to talking about holidays we had gone on when i was younger. 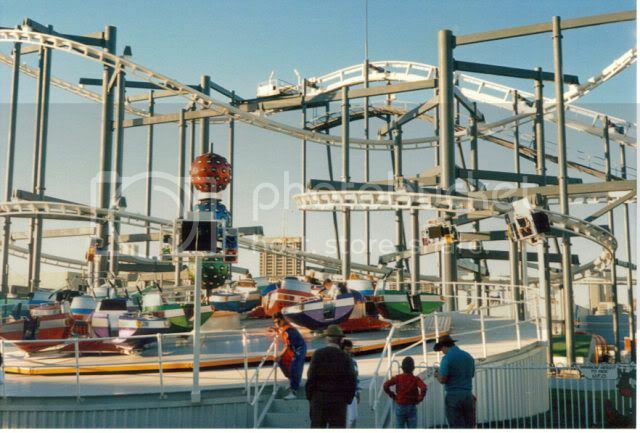 Anyway our trip to EXPO88 in brisbane came up and i asked did we get any pics of the carnival that was there. I honestly don't remember alot of it, (only remember my brother and i went on Titan and the Supernova rollercoasters) but here's a few of the better pics mum took. Does anyone know what ever happened to this Breakdance? Don't remember the name of this coaster. Anyone else out there got any old photos to share?? Thanks Hurricane, I took my kids there lol. Aw mad. This just makes me miss Demon. Haha. And yeah it kind of looks like LPS's breakdance. princess wrote: Thanks Hurricane, I took my kids there lol. Gee Princess, i was 15 in 1988, so if you took your kids there i guess that would make your age about.........??? Lol! yeah i'm just using umour, lots of umour on this forum! I just watched some old videos from WLS & I went on the Demon (titan from expo88) when I was 6, gee I didnt think I was that young. It was pretty funny also, there was some footage of me and my sister on Bountys revenge. The OTSR was just below my neck. 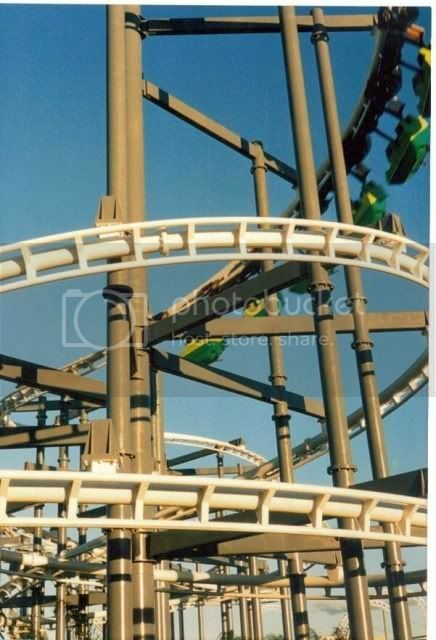 The coaster you see behind it (Centrifuge) was purchased by Dream World (Bangkok, Thailand) along with Supanova. Both still operate there to this day. My uncle was the chief fire inspector during the construction and operation of the World Expo park. He once told me that he had to investigate two seperate fires on the same ride, not sure which one, but it was either the Galaxy or Supernova. (It ran in the dark anyway. Someone might be able to name it for sure). The first fire was during the construction stage and the second was while the ride was operating. I believe no one was injured during either fire luckily. Regarding the Breakdance, or the "Asteroids" as it was called at Expo Park, we had one come to the Rocky Show not long after Expo (1991?) 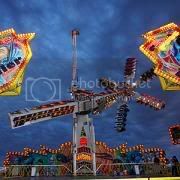 and fairly certain it was operated by Coney Fair Amusements. I saw it a few weeks later pass through Rocky going south so it obviously didn't do the full northern run up to Cairns. I don't think that one came back to Rocky again, but it just looked a lot like the one from Expo Park. Does anybody know if Coneys ever ran a Breakdance and was this the one from Expo Park?? The coaster that ran in the dark was the Supernova. Thanx for the name of the Coaster, Redhot. I guess it got a little more lit up in the dark when the fire happened. P.S. Found a few ride pictures from an old Expo '88 Official Souvenir book which show such rides as Breakdance, Centrifuge, Ranger, U.F.O. 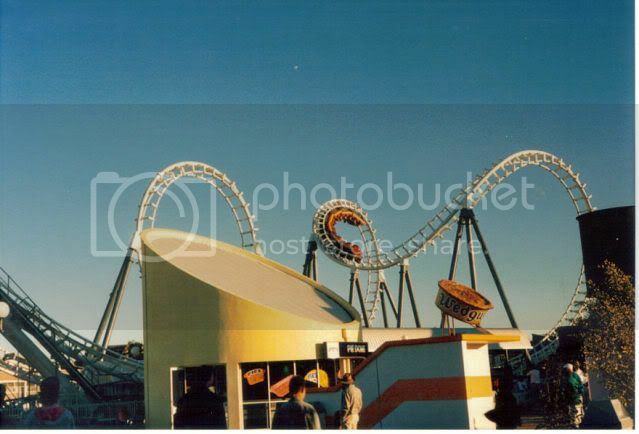 Gravitron, Troika and others in both day and night shots as well as an aerial shot of the park. I will try to see if I can scan them and post them in the near future. Gees great to see these old photos from Expo Park.